← Sewing for a Short Person. These are soooo cute! Shame about the pudgy feet (I’ve been holding off for the same reason, I love the chubby ankles but they make fitting shoes a bit of a dilemma). I love your robot fabric – it looks great! 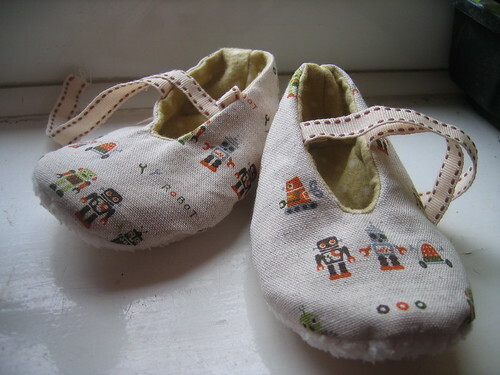 The robot fabric was from The Eternal Maker which is the parent site to The Button Company (literally – it’s run by her mum!) i bought a fat quarter of it at the Festival of Quilts last year*.